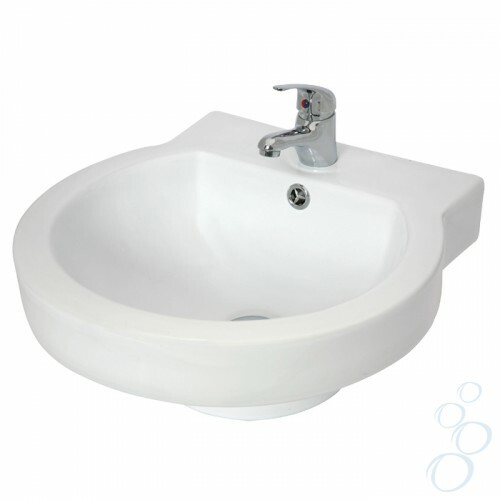 In some respects a Wall Mounted Basin will provide a similar service to a space saving Cloakroom Basin. It is a stylish and modern solution to small spaces. However, it can also provide a tidy focal point on a feature wall. 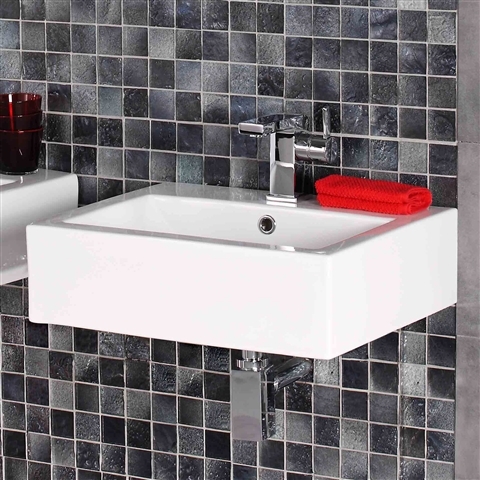 Many Self Build package companies include a fully integrated Wall Mounted Basin when the bathroom wall arrives on site. Pictured on the left is the Udine Ceramic Circular Wash Basin Sink, which is a real space saver, but remarkable, provides much the same bowl size as a more traditional bathroom sink. This half pedestal traditional styled sink allows for a familiar look, but conceals ugly pipes. 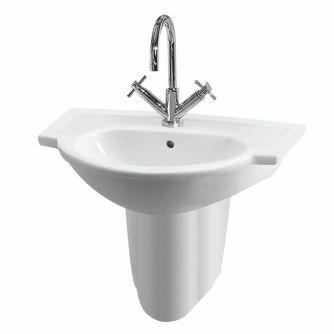 This model is called the Niko Linton Wall Hung Basin with Semi Pedestal and is less than £50. 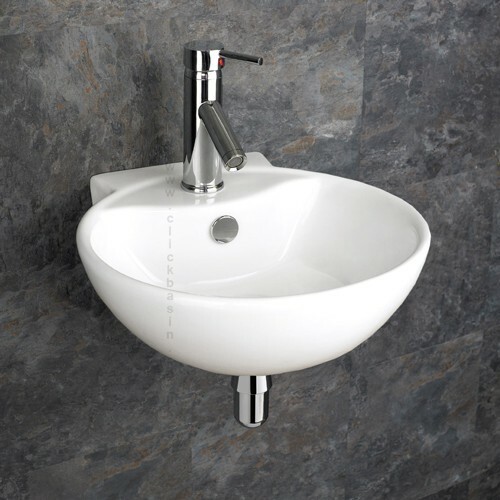 Hidden pipework and a normal sized wall mounted sink, this Cybille Square Wall Hung has a 51x41cm basin, proving that you can eliminate ceramics, maintain a neat and tidy appearance, hide the pipes and still create a modern, family sized look. Similar to the first on the page but less expensive, which emphasises the need to look around.